"A must-read for Southerners and Southerners-at-heart come fall." "A lavish lifestyle guide and cookbook that’s a paean to her native Dixie." 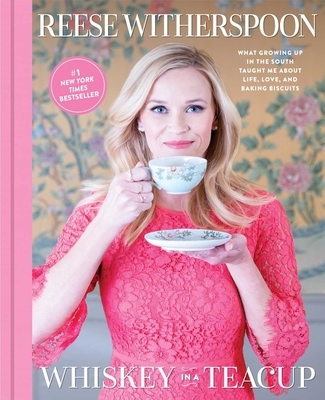 "Reese Witherspoon, resident ray of sunshine, wrote a book that’s as charming as she is. In Whiskey in a Teacup she shares everything from how she does her hair to her grandmother Dorothea’s best recipes. If you love Reese, you’ll love her book." "Whiskey In A Teacup, as the title suggests, is a dose of sweet medicine with a kick, and it's a wonderful guide to entertaining, decorating, and celebrating, in the style of one of the nation's most beloved actresses." "Buy two copies—this will be the go-to hostess gift of the season."